This lotion is made with one of our newly minted signature scents that was created by us. You will not find this scent anywhere else!! With the perfect balance of floral and fruit, even if you are not a fan of fruity or floral scents, you will LOVE this! This lotion is made with vegetable glycerin, avocado oil, vitamin E, aloe, and sunflower oil. 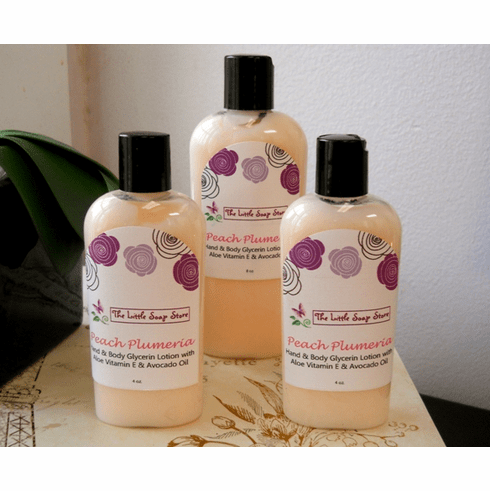 P.S., Try our matching signature Peach Plumeria soap, scrub, & bath bomb!